2015: The Year Film Fought Back? Just a fortnight ago we had the Financial Times posting a video to Youtube with the message that "film never died" and now here's Ilford with more positive news that surely provides film photographers with real hope for the future. At the end of last year, the company invited film photographers from around the world to take part in a survey to gain a better understanding of what makes them tick and the results, Ilford revealed today, were "inspiring". 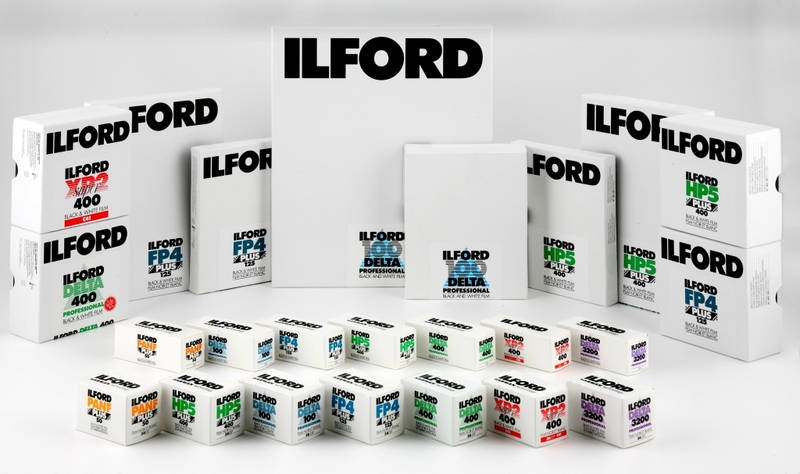 Thousands of film users from more than 70 countries completed the survey, confirming Ilford's belief that support for the medium is growing and it's down to new users rather than increased spending by diehards. And darkroom printing also seems to be holding up well with younger photographers again keen to experience it. Almost a third of respondents were under the are of 35 and 60% of them have been using film for less than five years. Around 84% said they had taught themselves how to use film with a little help from books and the Internet and just under half now develop and print their own pictures in a darkroom. Some 98% shoot black and white, almost a third exclusively, with just 2% using colour film alone. Surprisingly, perhaps, more than eight out of ten use roll film with Lomo and Holga cameras often being the light-tight box of choice. You'll hear no more criticism of those cameras from me from now on! On-line groups and forums, including Ilford's own website, were popular sources of product information and technical advice. For many, their interest began after receiving a film camera as a gift from family or a friend, showing the importance of passing old film cameras that might otherwise be gathering dust in a drawer on to digital photographers who're in a position to give them a new lease on life. "I wanted to slow down and really think about what I was doing rather than just shoot 15 versions of the same shot to get it right. As I have grown into film, I also enjoy the craft aspects of it. Developing etc." "The fact that there goes a lot more thinking in taking a photograph. Because of the 'limitation' of 36/12 pictures on a roll you think more about a shot you take. While with digital you just shoot." Steven Brierley, sales and marketing director at HARMAN technology/ILFORD PHOTO, said, “Thanks to the film users who took part in this survey, we have confirmed what we thought, which is that the recent growth in film sales can be attributed to the new users coming through. "We are providing support to these new users and making it easier for them to find darkrooms should they wish to. It’s a year since we launched localdarkroom.com and we now have over 650 tutors and sharers in more than 60 countries around the world. So, if you've offered a film camera to someone, bought film or darkroom paper, passed on details of a local darkroom to Ilford for inclusion in their online database or given advice freely on a forum then you deserve a big pat on the back. In return, I think we should all do the same for Ilford in gratitude for the company's efforts in keeping our chosen medium of analogue photography alive and kicking. 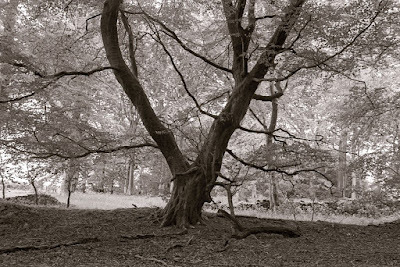 It's fantastic that, despite the ubiquity of digital imaging, Ilford has continued to provide such a wide range of top quality film and darkroom products unmatched by anyone else. Have a great 2015 Ilford! Delta 100 and HP5 are fantastic and hence my two favorite films. Go Ilford! Ilford goes out of its way to support the media and that's why I'll keep purchasing its products every chance I get. Not hard to give loyalty to a brand that not only takes the time to listen to its customers but also makes great products. You keep making it, I'll keep buying it. Yeah, I remember that survey. Filled it in also. It's comforting that Ilford is proactive in supporting film, even us old diehards. Glad to see so many young people take up film. Now, if I could just figure out how to make their mixed rapid fixer stop depositing black silver flakes all over when only 20% through it's normal working life. I do use Ilford labelled products but also love trying out the different black and white films available under other labels. In doing this am I indirectly supporting Ilford . I have just purchased some Rollei RPX25 in 5x4. There as been speculation that this was manufactured by Ilford for the rollei label based on Ilford pan F coating. It is suggested that they are the only company now 'tooled up' to produce such a film! I find it confusing these days on who actually manufactures the films available , outside ilford , kodak and Fuji labelled products ! I just started back into film again late this past year and was happy to find that Ilford was right there waiting for me. This is indeed great news and we can only hope it keeps up on the up slope. I will say though, while I'm happy about the new users coming in (just perhaps not too fast, so I can purchase few more film cameras at lower prices), but survey statistics are based on that survey alone, and the ratio of diehards vs. new may be a little skewed by the fact that the new are more likely to fill it out. Not that it matters much, as the more important thing is that Ilford is more convinced to continuing support of film shooters, and that is just great. There seems to be a sort of pincer movement going on here – the existing die-hards and the new converts. It will be interesting to see what emerges from the mix. Will the die-hards loosen up a bit or the new ones get bitten by the transmission densitometer bug? It does seem clear that making pictures with negatives is progressing from being an unthinking mainstream necessity to joining the creative alternative processes. I took that survey! ""We are providing support to these new users and making it easier for them to find darkrooms should they wish to" - that's great!